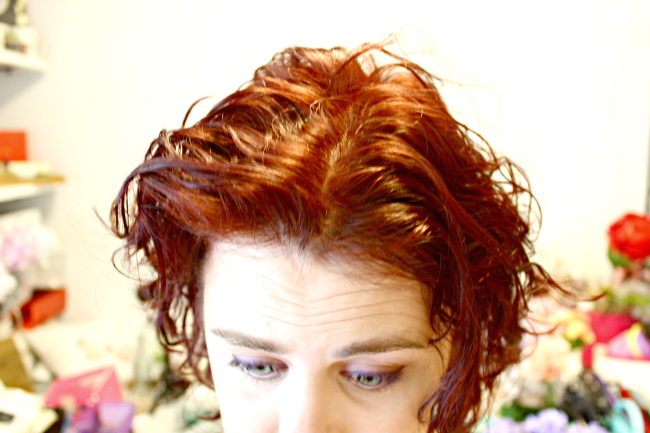 Confession time, I don't wash my hair very often. 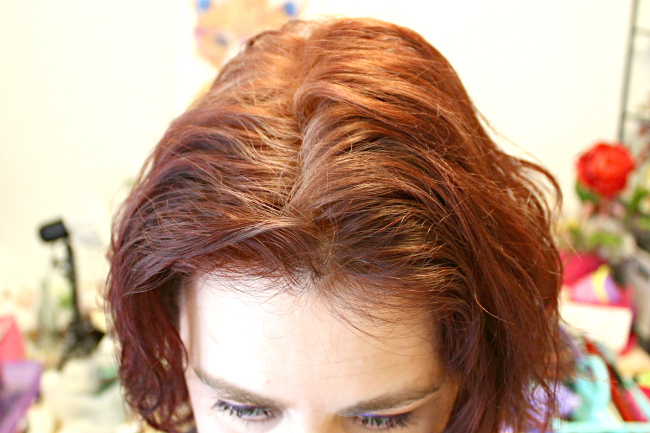 It is part laziness and part being an artificial redhead. Oh and in the summer I have a pool, so I kind of always think to myself, I'll wash my hair after I swim, and then don't swim for two or three days. It is a silly thing, but it is my thing. 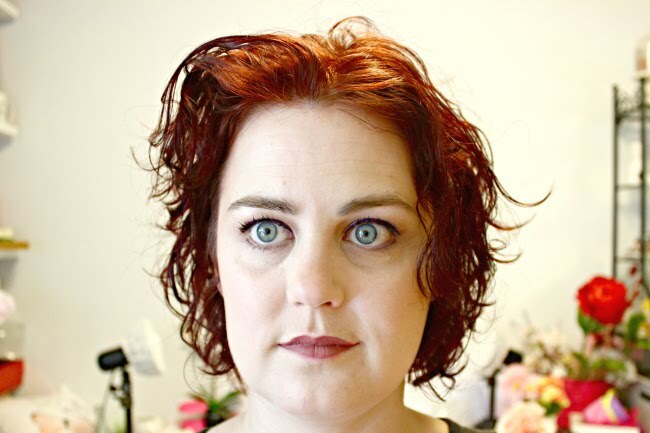 I recently visited my cousin who was shocked I don't wash my hair daily. 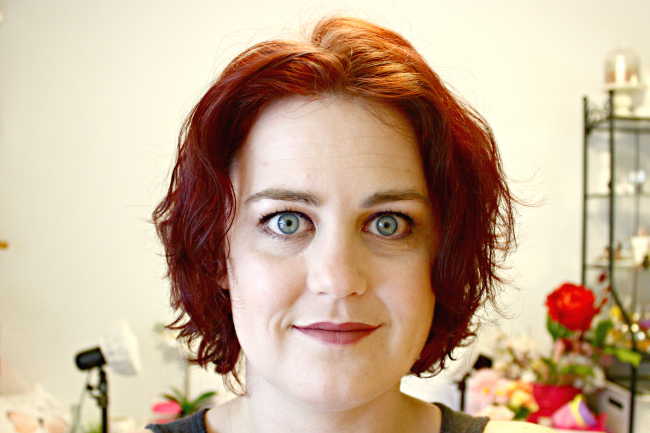 I proclaimed my hair would be just too darn dry and damaged if I did, but also my colour would just bleed like mad and that dry shampoo was the key to me not looking a mess all the time. 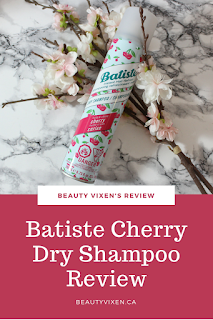 We then discussed the smell of hair and how having nice smelling hair is very important, that's when I told her about my latest dry shampoo obsession, Batiste Dry Shampoo in Cherry. 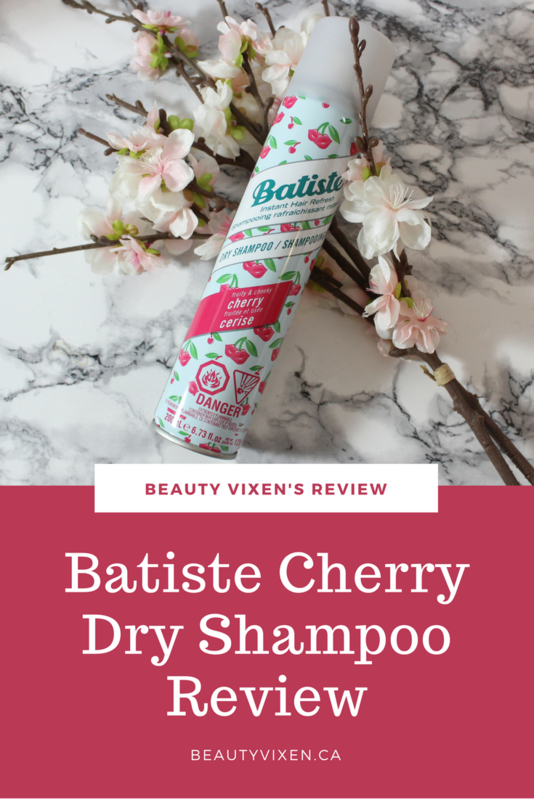 Not only is it that same amazing formula I have been using for years, it also smells amazing. 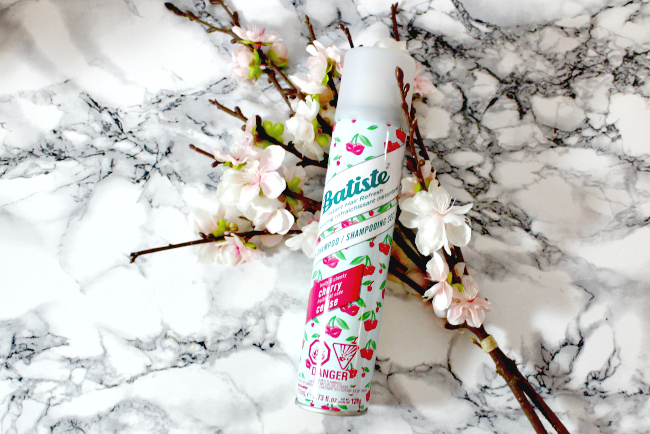 Right now I am going to demo the difference between two day old hair before Batiste and after. I think it makes a big difference and I am loving the new cherry scent. I love to use this at night, just before bed. What I do is apply some and let it sit while I sleep and I wake up with hair that never got oily while I slept. 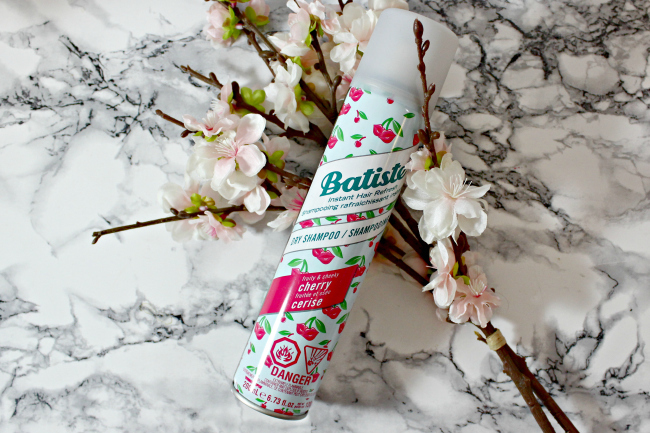 Batiste is paraben and sulphate free, vegan friendly and not tested on animals. It retails for $8.99 at most drug stores across Canada. *Product was sent for review purposes, all views and opinions are my own.